Most travel neck pillows will support the back and sides of the neck, however, there is no support for the front of the neck. 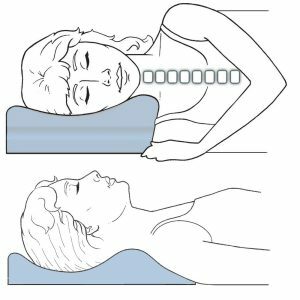 This leaves your cervical spine vulnerable to the harmful effects of flexion when falling asleep. 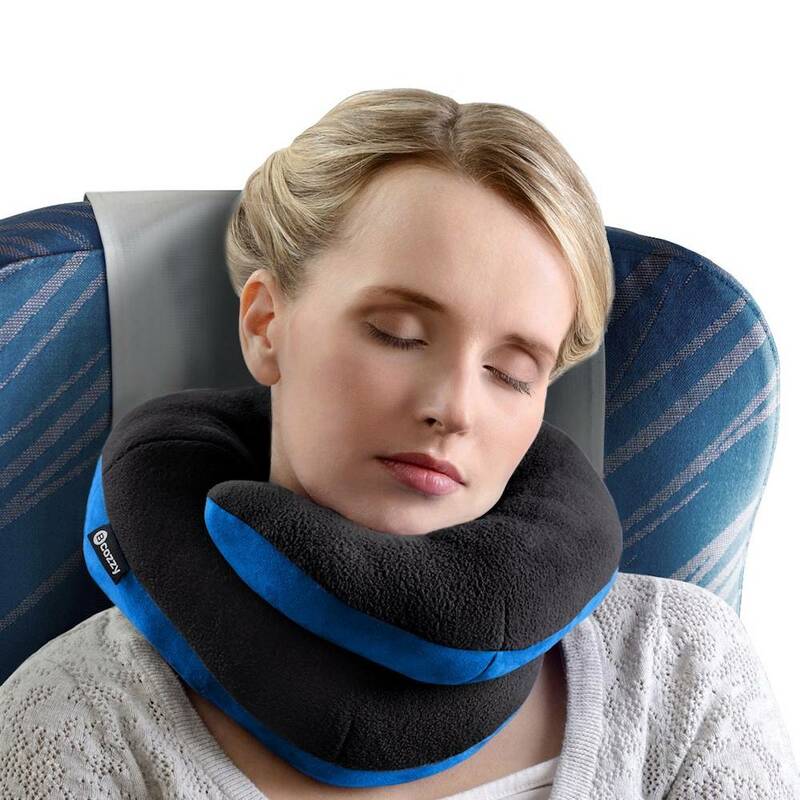 The wrap around neck pillow provides a great solution by offering support for the back, sides and under the chin. 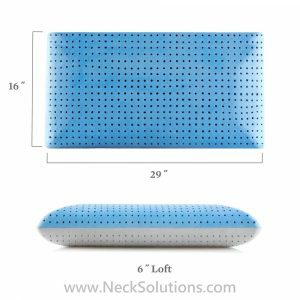 Measures 9.8″ x 11″ x 4.7″ and weighs just 7.4 ounces. Polyester fiber fill. Choice of size and color. 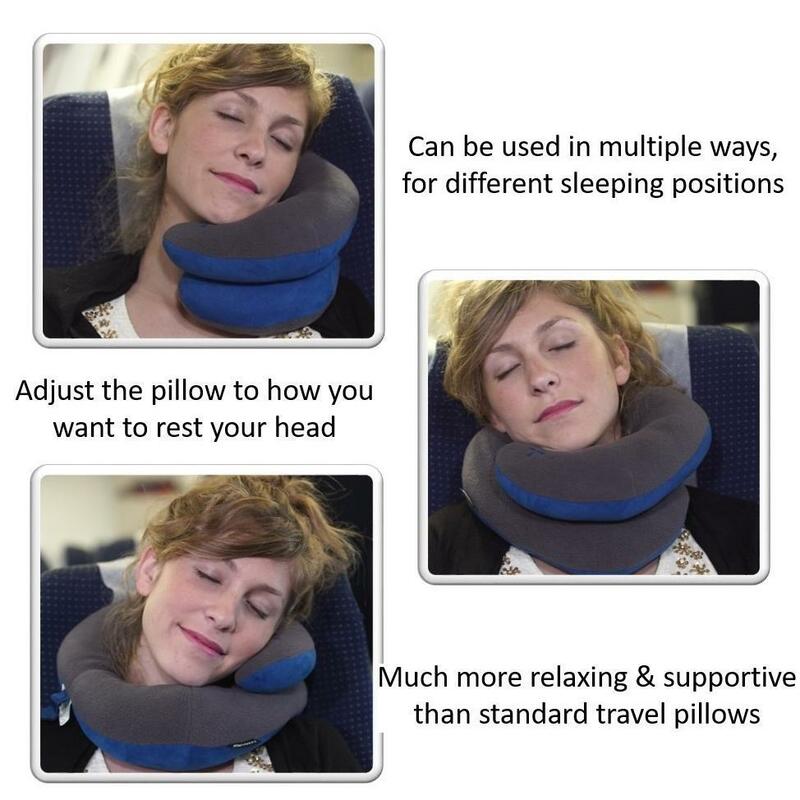 A unique travel pillow providing full neck support, it helps to prevent the head from falling forward as it gently wraps around your neck. 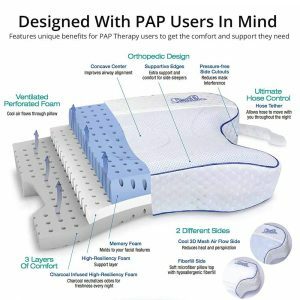 The soft fiber filling offers comfort and prevents heat build up like memory foam, so it won’t freeze in your car or become very hard. 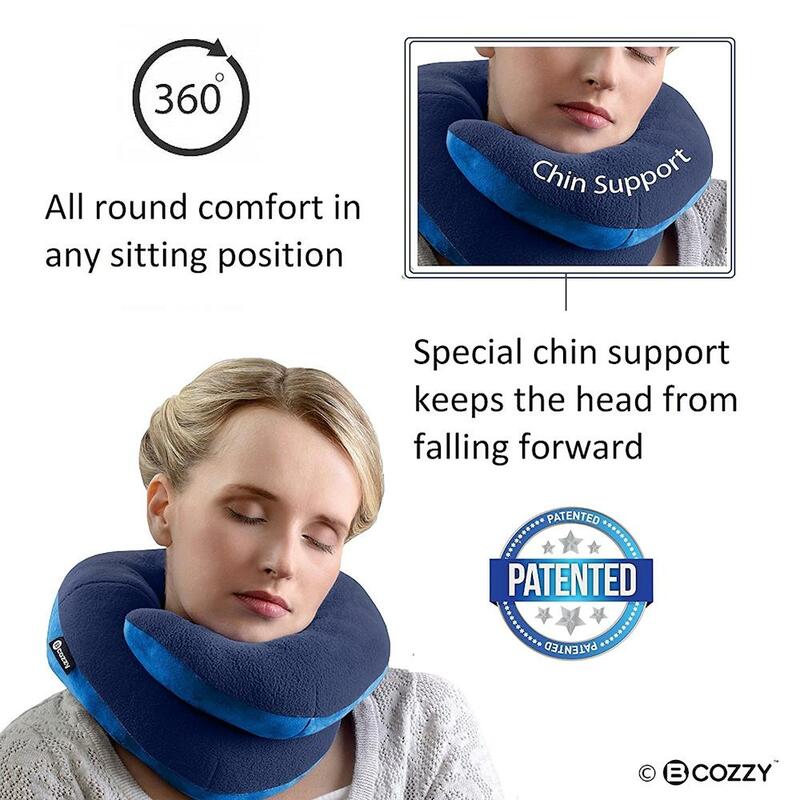 The head, neck and chin are fully supported. 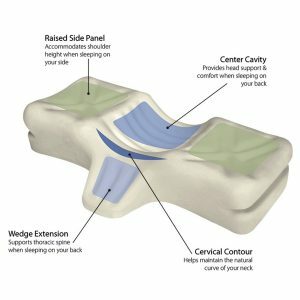 Additionally, it is adjustable to suit your changing positions should you need all around support, just on one side or more in the back. The back is contoured so it does not push your head forward. 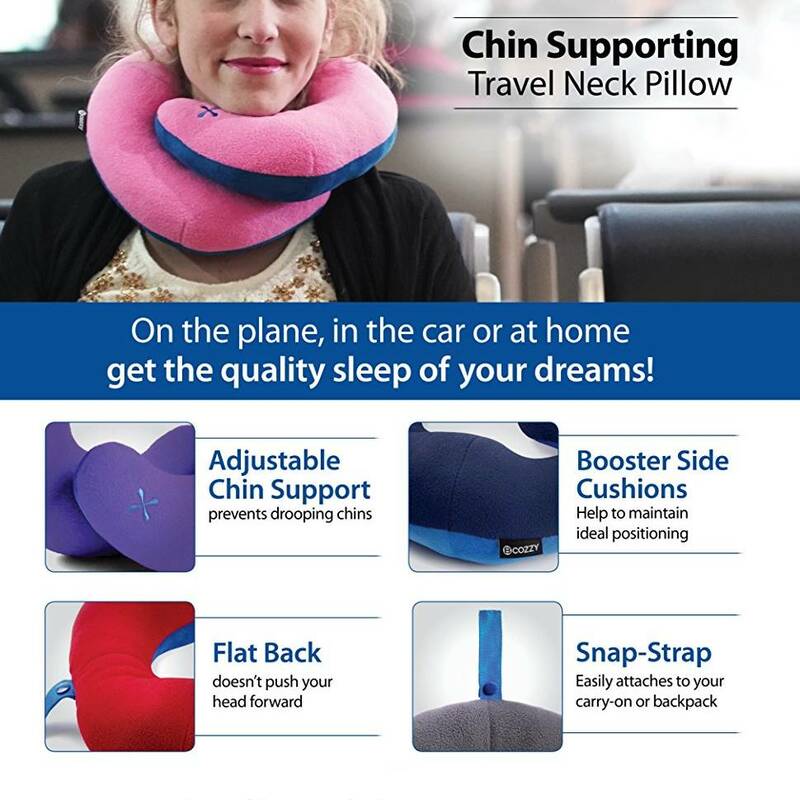 You can actually, twist and conform it to your personal preference or support requirements and control the amount of support around your neck; obviously you do not want it too tight. It is important when sleeping upright that you have the proper neck support to avoid waking with a stiff neck, headache or aggravate arthritis or disc problems. 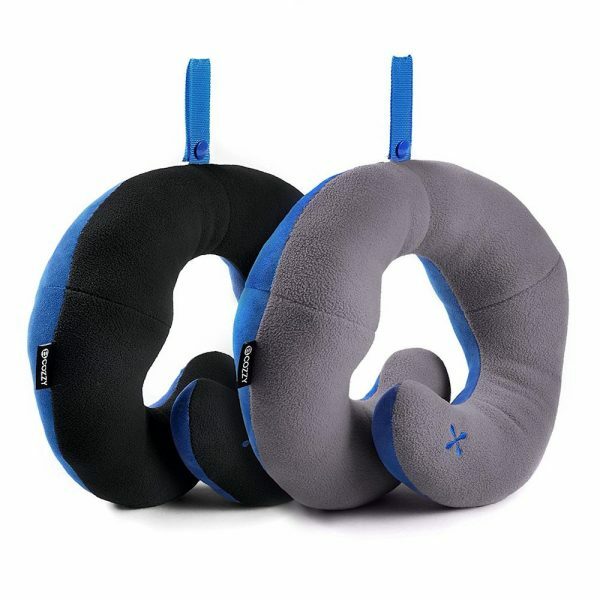 The wrap around neck pillow is perfect for travel, like airplanes, car trips, train, buses and more. The patented design really helps avoid pain from awkward postures when upright or reclining. 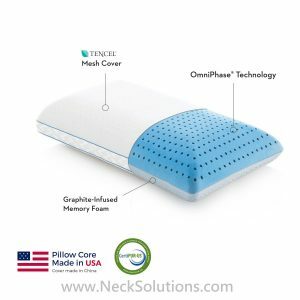 The pillow can help if you already have neck pain by helping to stabilize the head and neck. 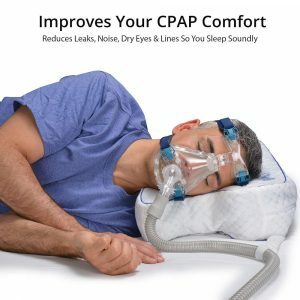 It can help hold your head up. 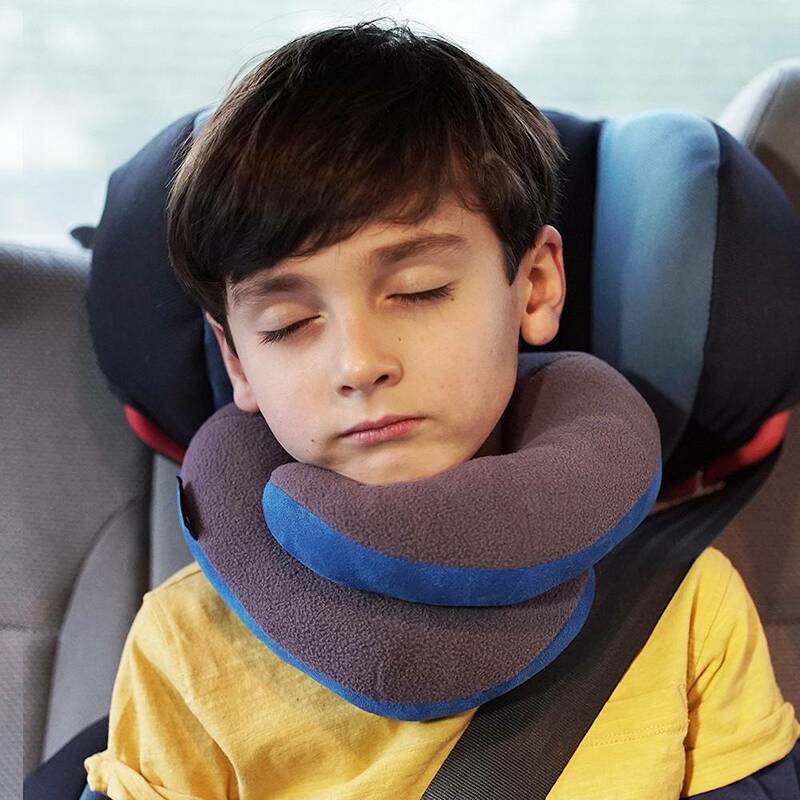 For children, it comes in a smaller size to help provide a child with a sense of security as well as comfort, as it helps prevent extremes in postures when a passenger in a car. 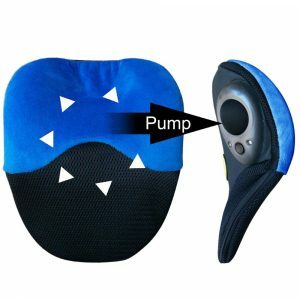 It is for comfort only and not a safety device, so you should not leave your child unattended. 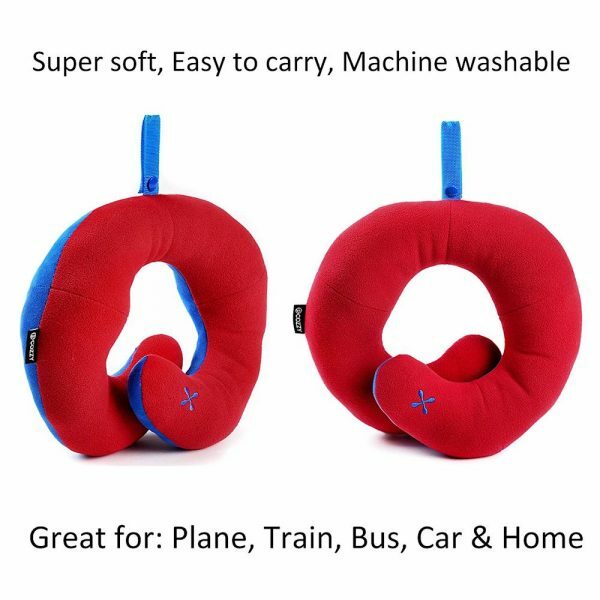 The construction makes it durable and machine washable. 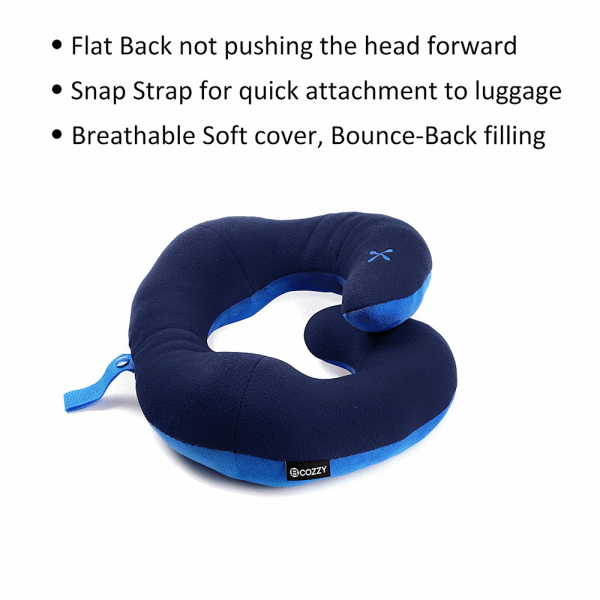 It also has a snap strap for easy attachment to the side of a carry on, and compresses well for easy storage and portability.